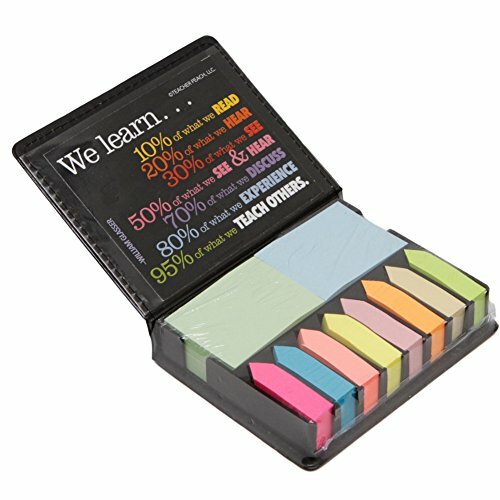 Teacher Peach Amazing Potential Sticky Note and Page Marker Box Set - Inspirational Holder and Organizer of Self Stick Note Cards & Book Flags - Best as Teacher Appreciation Gift for Men Or Women by Teacher Peach at Community Frontiers. MPN: DAESHAP. Hurry! Limited time offer. Offer valid only while supplies last. View More In Desk Supplies Holders & Dispensers. If you have any questions about this product by Teacher Peach, contact us by completing and submitting the form below. If you are looking for a specif part number, please include it with your message. B-Best Guardians of The Galaxy Groot Pen Pot Tree Man Pens Container Or Flowerpot with Drainage Hole Perfect for a Tiny Succulents Plants and Best Gift Idea 6"